Bought to pair with a type 249 for 24v system for Daimler Ferret. See review for type 249. I was looking for a battery for an old car and from website found this one although not exact it best matched the dimensions I required. The original battery would have been an old 1950's American series 60 size which are no longer made. Battery arrived next day very well packaged and although still early doors is working fine. Quckly dispatched and delivered, well packaged and installed without a hitch. excellent product fitted perfectly,superfast delivery. Fantastic service from very helpful company. Battery arrived, ready to go, in less than 20 hours from ordering. Thank you. Battery turned up next morning even though I ordered it at 3:30pm the previous day. Was fitted by me an hour or so later. Fantastic!! Works just fine, and fitted exactly. Well done Tayna for showing the dimensions of the batteries you stock, in addition to the other specifications. 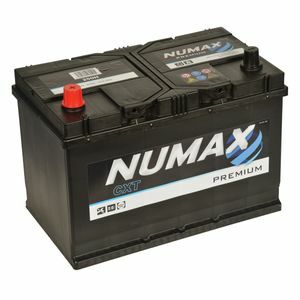 Good, solid, powerful battery for my large capacity diesel Shogun/Pajero. Fits main Battery holder next to fuse box without problem. Much better than original equipment battery. Also just fits in the Accessories Battery holder space next to the bulkhead but that battery holder needs adaptation for it to fit and hold securely. Also need to ensure that positive terminal is properly isolated from the intercooler housing. A skilled job but ok for an experienced car fettler! Excellent battery, the cheapest I could find after a lot of research. Staff were helpful and polite and delivery was quick and exactly as promised.